Deciduous Azaleas are medium size shrubs with oblong to lance-shaped leaves and funnel shaped, showy flowers that open in late spring and summer. Azaleas are part of the Rhododendron family and they are generally fully hardy. 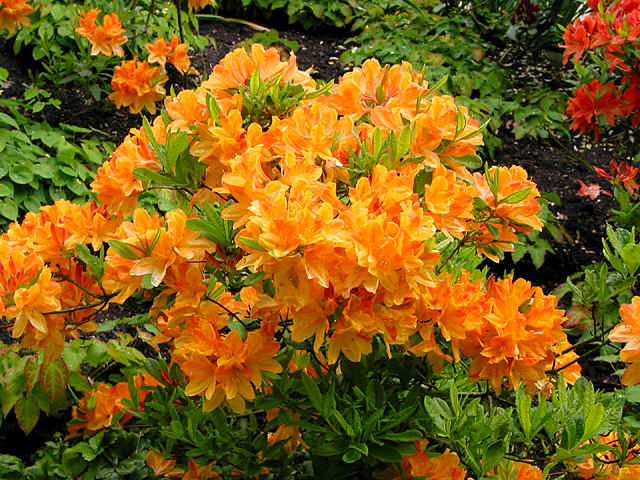 Azaleas should be planted in moist but well-drained, humus-rich soil in dapple shade. They are ideal for planting in a woodland garden with shelter from strong winds and can be dead-headed after flowering.